Since joining Tropical Realty as an agent, I have been named the Rookie of the Year (2007) for my performance in both listing and selling homes. I am committed to working hard to represent my clients. I have used my past 21 years of experience in corporate accounting to my client's advantage. I purchased my first investment property when I was 18 years old. I have been hooked ever since. I have continued to buy, sell and lease out more homes than I can list. So I understand all sides of the transaction! I moved to Cocoa Beach in 2006 after relocating from Austin, Texas. I have two teenagers attending Cocoa Beach Jr/Sr High. When I'm not working you will find me riding my bike, walking or just hanging out at the beach with my kids. We love this area and I look forward to showing it to you. Cathy Smith is a true asset to Tropical Realty! This was the 3rd attempt to sell our home and Cathy got it done!! Professional, Honest, Straight Forward Communication she is a DOER- Hard working reliable - Thank you Cathy!! Cathy, Thank you so much for all that you have done for us. We are so very grateful. We love our new home! It is perfect for us. We would never have been so lucky without your help. Thank you for all your advice and patience. You truly made our first home buying experience a great one. We will gladly recommend you to all our friends and family. Thank you! Thank you for an awesome and may I add...professional working experience. You were so efficient, flexible and professional. I learned so much from you. I do hope we work together again real soon. Cathy is amazing! She was so helpful and understanding. Her up-beat personality really helped get me through the "bumps". She is truly a blessing to work with! We faced many challenges during the closing process and Cathy always stayed calm and professional. she is the 3rd realtor I have worked with over 14 years. She is by far the best! She is down to earth and honest. She truly went above and beyond for me! Cathy did a wonderful job. I feel she went over and beyond the call of duty. 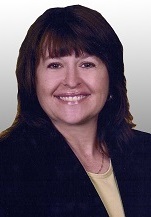 In short, Cathy Smith was professional, competent, personable and passionate about purchasing home. Heretofore, I had lost my faith in Realtors in general, with her service this has changed. I find nothing but positive to say about her. She made my purchase relatively street free. You are lucky to have her! We wouldn't change anything about Cathy. We were impressed with her just the way she is! We will definitely refer her. Cathy Smith went way above and beyond any reasonable expectation. She is the best I have ever deal with and should be recognized for her unbelievable commitment to her customers! I will refer without hesitation!!! Cathy was always patient since we live in Japan and had to try to get our house sold while away in another country. She always explained what was happening and answered our questions within a few hours even with the time difference. I know that she worked well past normal hours because of this. We appreciate Cathy so much and she sold our house within the time frame we asked for. Cathy was excellent. We were buying a property unseen from Canada and were very well taken care of. Both Cathy and Michelle visited properties, took photos, and gave us a very good sense of the pros and cons of each possibility. We felt very safe in their hands. The exchange of offers, inspection, final closing inspection, and signing of the documents went very well, all facilitated expertly by Cathy. Thanks - we are extremely happy with the condo!! !